This is very unique one eye coconut in the world. 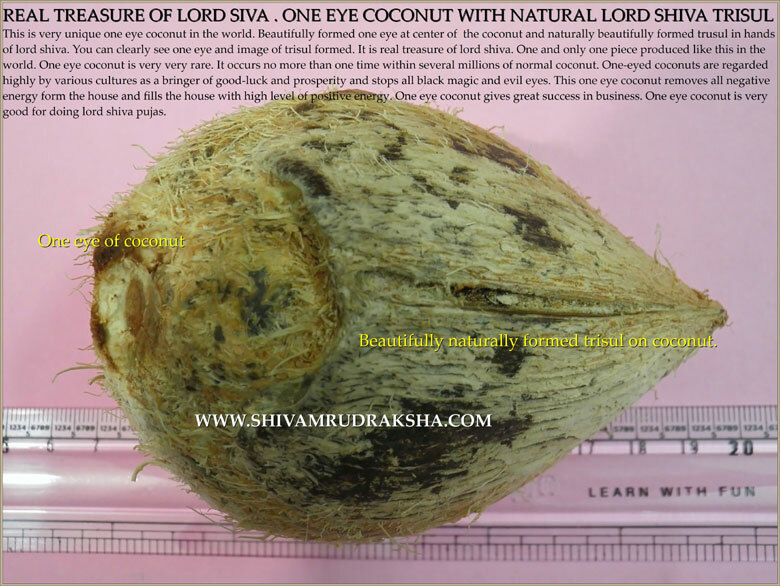 Beautifully formed one eye at center of the coconut and naturally beautifully formed trusul in hands of lord shiva. You can clearly see one eye and image of trisul formed. 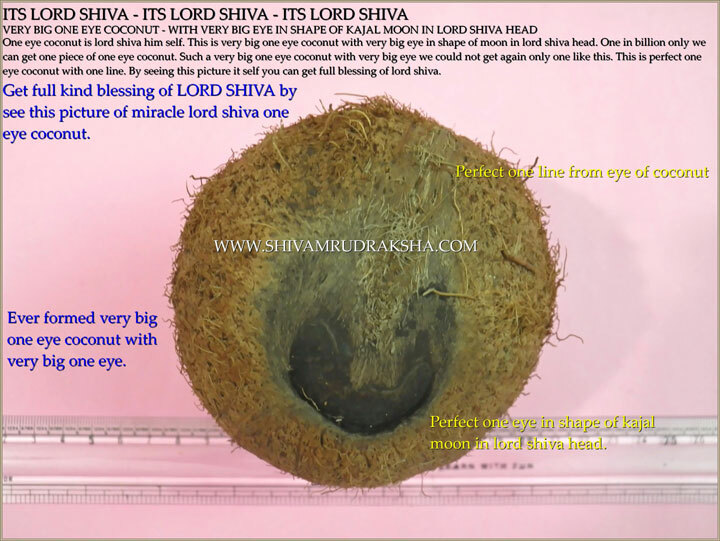 It is real treasure of lord shiva. One and only one piece produced like this in the world. One eye coconut is very very rare. It occurs no more than one time within several millions of normal coconut. One-eyed coconuts are regarded highly by various cultures as a bringer of good-luck and prosperity and stops all black magic and evil eyes. 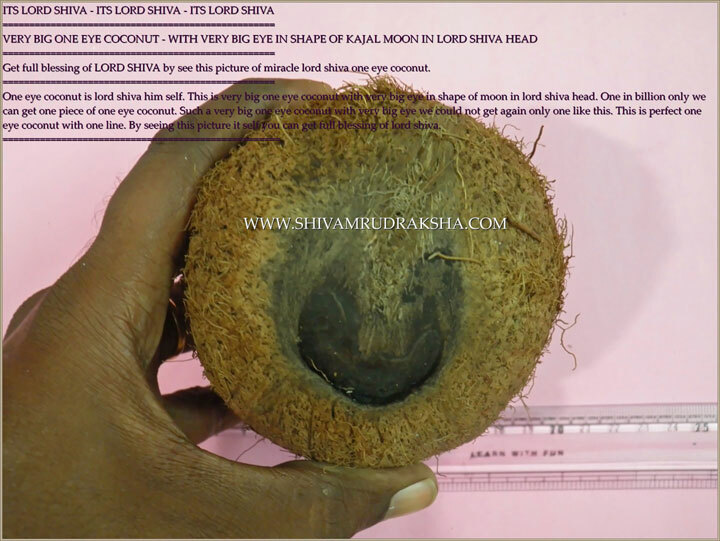 This one eye coconut removes all negative energy form the house and fills the house with high level of positive energy. 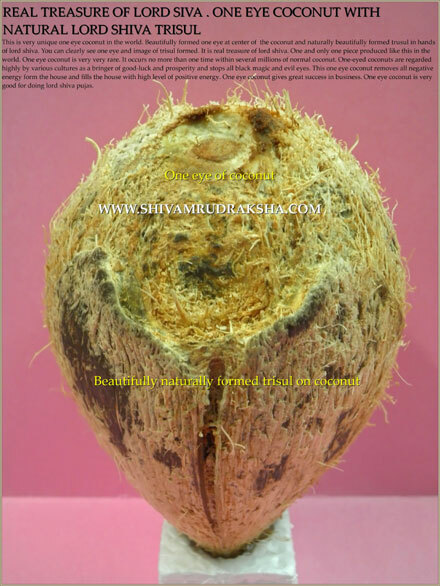 One eye coconut gives great success in business. 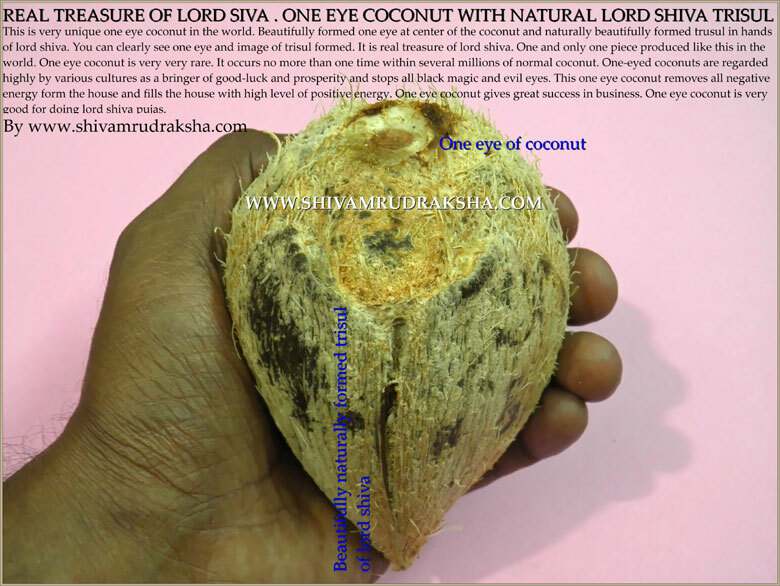 One eye coconut is very good for doing lord shiva pujas. 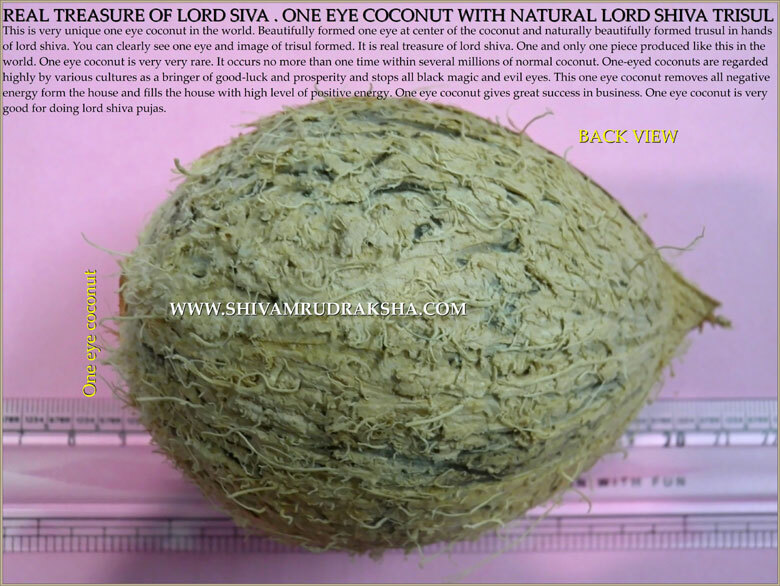 Get full blessing of LORD SHIVA by see this picture of miracle lord shiva one eye coconut. 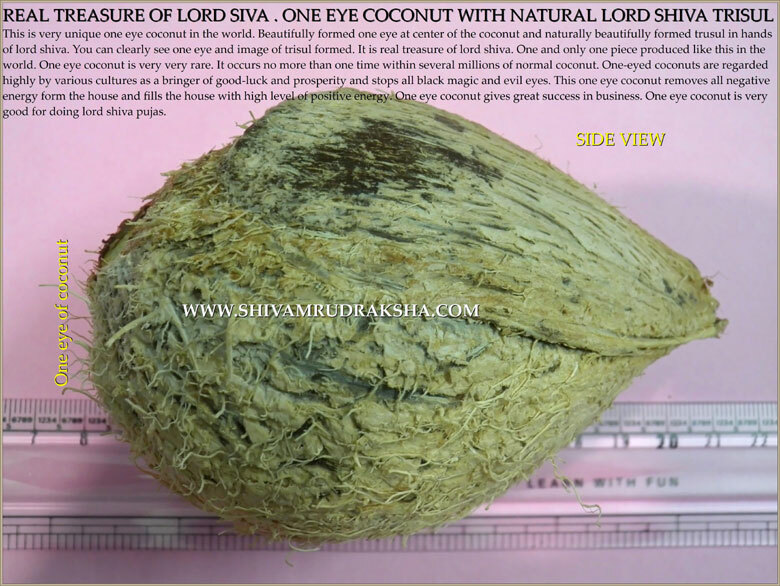 One eye coconut is lord shiva him self. 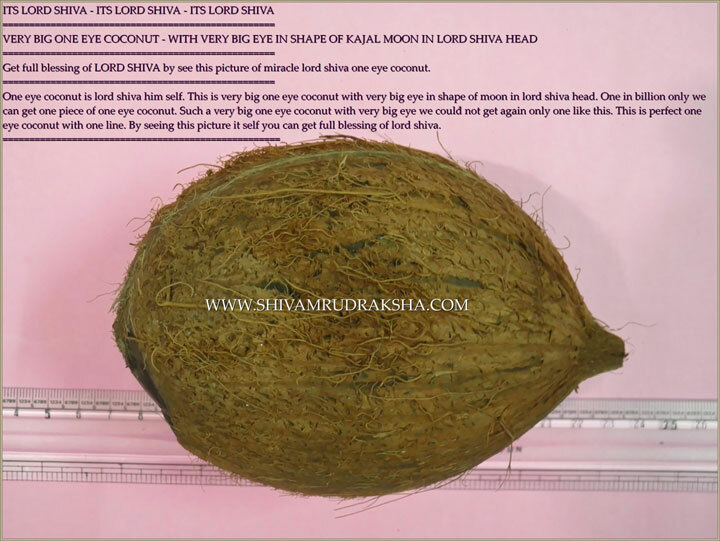 This is very big one eye coconut with very big eye in shape of moon in lord shiva head. One in billion only we can get one piece of one eye coconut. 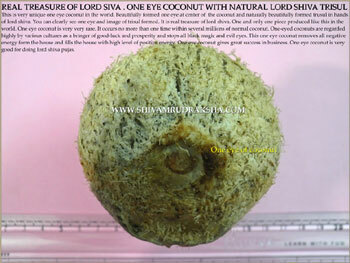 Such a very big one eye coconut with very big eye we could not get again only one like this. This is perfect one eye coconut with one line. 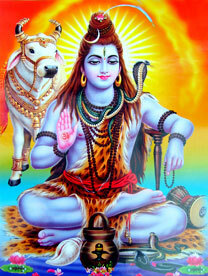 By seeing this picture it self you can get full blessing of lord shiva.